The Central Library functions as the primary information resource centre and repository of printed and electronic resources for teaching and research activities at the institute. Apart from textbooks and recommended reading materials prescribed for each course offered at the institute, the library houses a growing collection of research monographs, reports, multi-volume reference works, dictionaries, encyclopedias, handbooks, and so on. 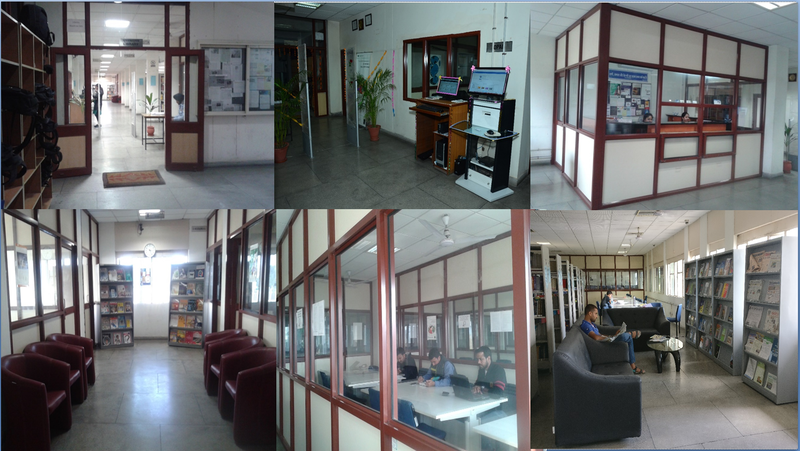 The library facilitates access to electronic journals through its participation in consortia, such as E-Shodh Sindhu. The library also subscribes to several e-journals directly from publishers as well as through reputed subscription agencies. At present, users can consult more than 17000 books (available on shelves) and thousands of electronic books, journals. Online access is also provided to economic and political databases, scientometric databases such as Scopus, MathSciNet, and Web of Science. The library operations are automated using LIBSYS 7 (EJB Version) software. The Online Public Access Catalogue (OPAC) which is on public domain enables users to search documents in possession of the library. The library is using the Radio Frequency Identification Technology (RFID), a state-of-the-art auto identification technique which helps in self-servicing and enhanced security. A separate e-resources section is provided in the library to browse CDs and DVDs of books, theses, and dissertations. The library has developed institutional digital repository (IDR) using open source software (DSpace) to archive and provide online access to the intellectual output of the institute. IDR is available publicly. These steps will greatly enhance the library’s efficiency in making the resources available to the academic community at large and also enable the institute to participate in various inter-library initiatives at national and international levels. Our Library is providing extensive research support services such as citation analysis, usage of reference management tools, copyright and plagiarism support etc. We are using a Turnitin, a leading academic plagiarism tool to improve the quality of research publications. Library is constantly striving to identify and adopt the emerging academic and research support tools and helping the institute in achieving its vision and mission.